Perhaps the greatest and most moving of all Pinter’s plays. It concerns the devious workings of the human heart, love, guilt and passion. It begins with the embers of an adulterous relationship and traces the train of events through the previous years – the betrayal between wife and husband, mistress and lover and even between the rival men. The sweaty panic of the adulterer mixes thrillingly with the barely contained emotional violence of the situation. The play was famously based on Pinter’s own affair with Joan Bakewell and has been constantly revived since its first production in 1978. YOU never feel totally comfortable watching a Harold Pinter play. The characters teeter on the brink of unpredictability, formula driven the work of this bespectacled genius most definitely isn’t. Leave your comfort zone at the theatre door, please. 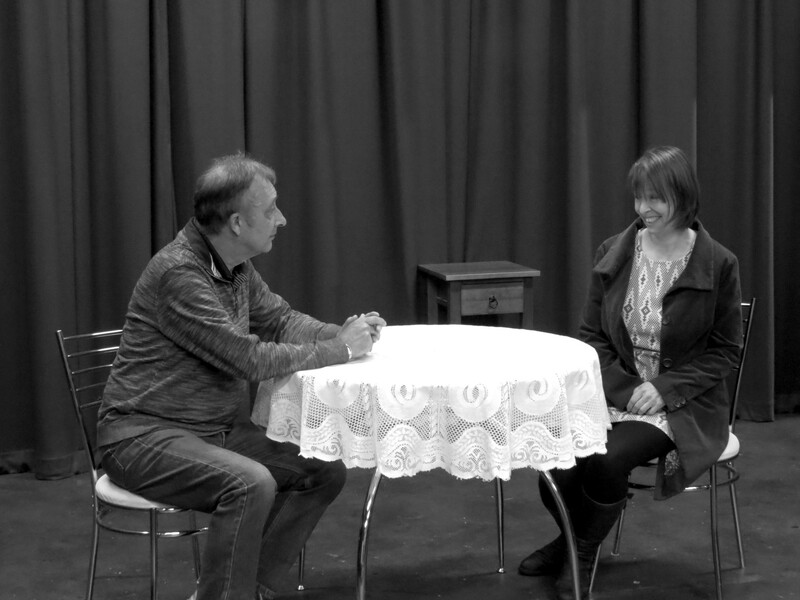 Jerry and Emma meet for a catch up at a pub and it soon becomes apparent they have a past, even if they keep a tight rein on their emotions. It could be two former work colleagues having a catch up, but it isn’t. 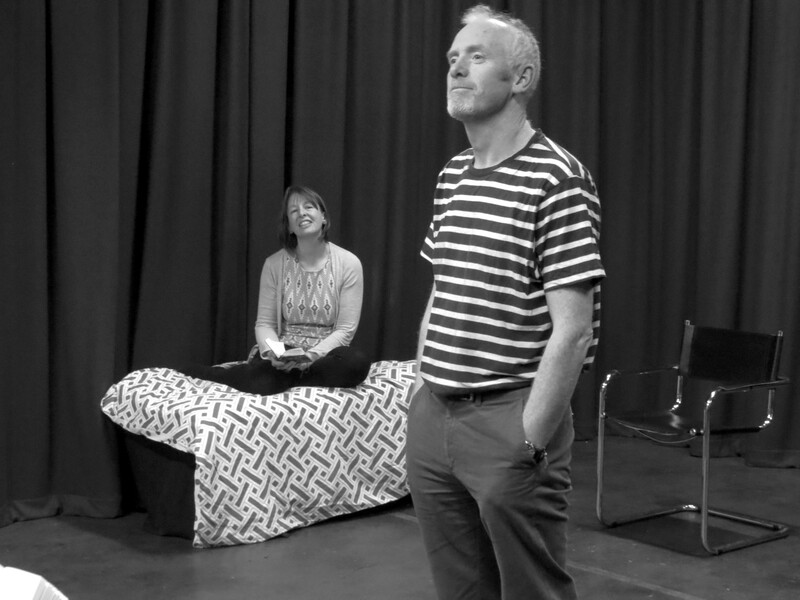 The play takes us back in time nine years and we see far more passion then, with Jerry behaving like an infatuated schoolboy towards Emma, worshipping her like a goddess. While the pace of Betrayal is positively forensic at times, it is an engrossing, intriguing and grown up piece of theatre featuring some fabulous, witty and insightful lines from a master playwright. I’ve always been attracted to the work of artists who refuse to bow to convention and it goes without saying Pinter was a true enigma. For me, this is Jacqueline Wheble’s best performance to date at the Garrick, breezing across the stage with supreme confidence as Emma. She and Malcolm Cooper, who plays Jerry are really good together and very, very believable. Paul Wilson, an actor I rate very highly, gives his reputation yet another major boost as Emma’s hubby, Robert. 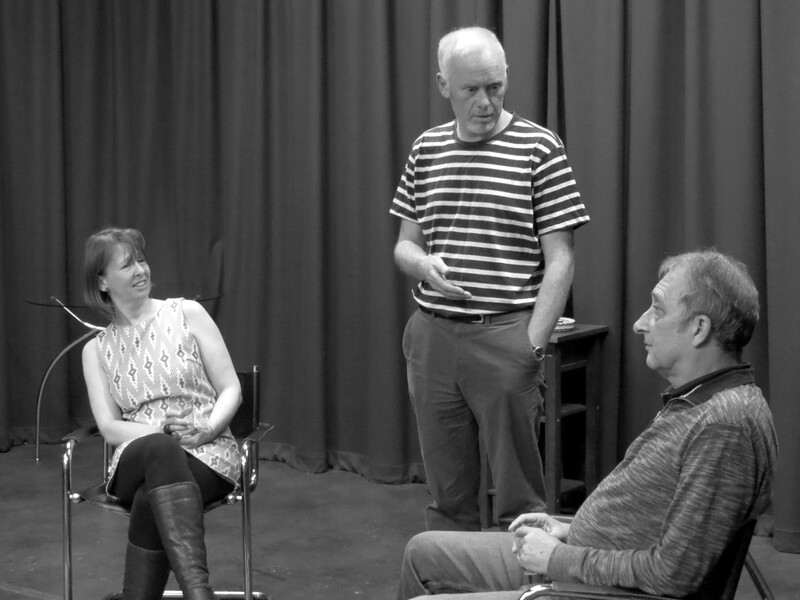 This is a major achievement for all concerned, including the production’s director, Richard Sails. 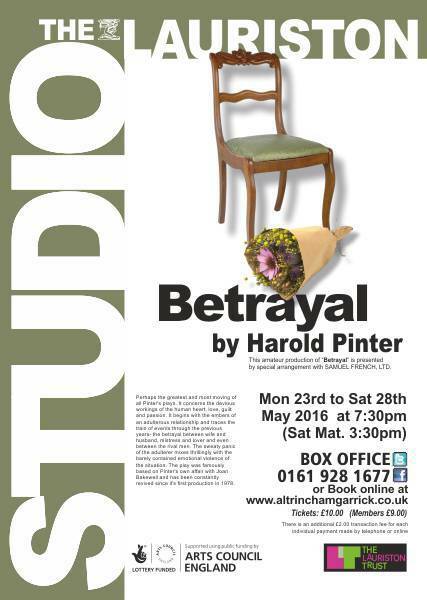 THE Lauriston Studio at Altrincham Garrick present the Harold Pinter classic, Betrayal, for their last play of the season. It is aptly named for it illustrates three kinds of betrayal.?? That of husband and wife, lover and mistress and two best friends and there are interesting duologues between each of these pairs. Pinter craftily makes the action begin two years after the end of an affair and takes us gradually backwards to its titillating start seven years beforehand.?? A screen with dates establishes the chronological order.? An excellent? twosome scene takes place in 1973 when Jacqui Wheble?s Emma confesses to her husband, Robert (Paul Wilson) that she has been having an affair with his best friend Jerry (Malcolm Cooper) since 1968.? 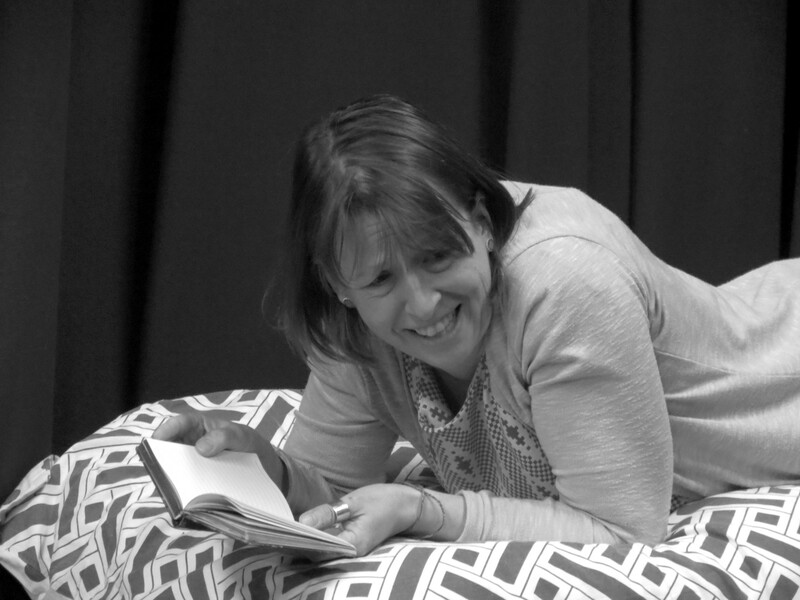 Jacqui and Paul are real life partners which might have helped this difficult scene to run smoothly. It is not until that point that Robert, an adulterer himself, has any idea that his wife spends passionate afternoons with Jerry,? The men remain disturbingly close despite the affair. 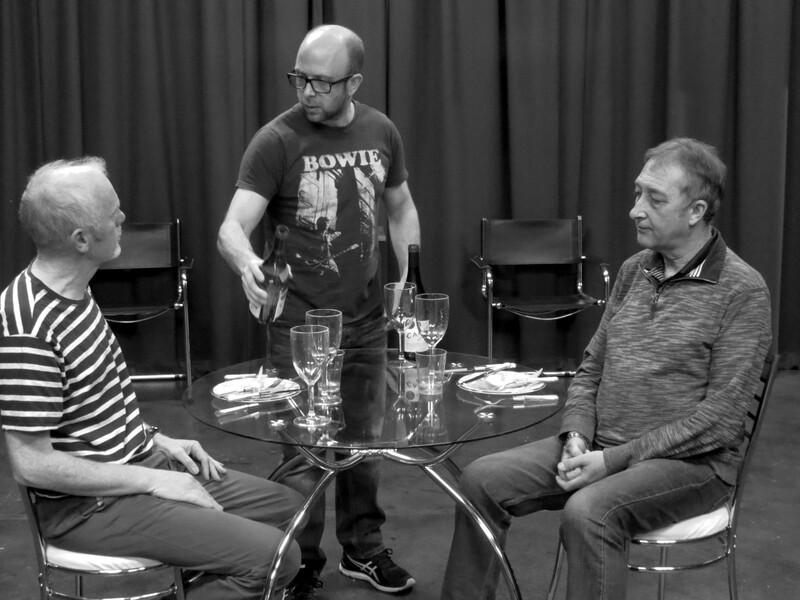 The cast interact well and show mastery of the Pinter pause but the pace is just a fraction slow. Jacqui?s Emma? masters the work/home balance,yet remains attractive to men. After Jerry falls for her you can feel their sexual chemistry and yet, at times they seem set in their ways. Malcolm Cooper?s facial expressions are telling as he indicates Jerry?s? fear of being found out.